David L. Meyer, D.D.S., M.S. Dr. David Meyer was born and raised in Dubuque, Iowa. He received his bachelor of science degree from the University of Iowa, and then received his Doctor of Dental Surgery (D.D.S.) degree from the University of Iowa College of Dentistry. He attended the University of Louisville for his orthodontic residency, receiving a master’s degree in Oral Biology and a specialty degree in orthodontics. He has been practicing orthodontics in Dubuque since 1989. Dr. Meyer is affiliated with many dental organizations, including the American Dental Association and the Iowa Dental Association. He is a member and past president of the Dubuque District Dental Society and the Dubuque County Dental Society. 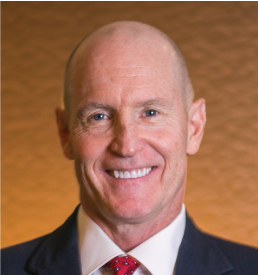 He is also a member of the American Association of Orthodontists, the Midwestern Society of Orthodontists and the Iowa Society of Orthodontists, of which he will be president in 2016. Dr. Meyer is board certified and a Diplomate of the American Board of Orthodontics. He also holds a faculty position at the University of Iowa College of Dentistry, where he is an Adjunct Associate Professor in the Department of Orthodontics. Dr. Meyer is very active in his community and is a member of the Board of Directors for the Boys & Girls Club of Greater Dubuque. He has also served as a coach in a youth basketball league for many years. Dr. Meyer loves being an orthodontist and cherishes the relationships he has built with his patients and their families. He is inspired by creating beautiful and healthy smiles. 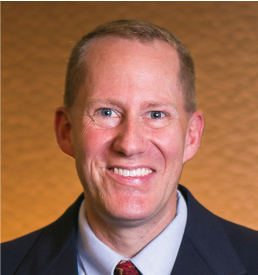 Outside of his orthodontic interests, Dr. Meyer enjoys spending time with family and friends, staying active and physically fit and is a huge fan of the Iowa Hawkeyes. He particularly enjoys “lively debates” with the many Cyclone and Badger fans who come to the office. He and his wife, Lori, have three children: Anthony (AJ), Quinn and Dietrich. Chad M. Morarend, D.D.S., M.S. Dr. Chad Morarend is a native of Dubuque who attended Loras College after graduating from Dubuque Senior High School. He received early admission to the University of Iowa College of Dentistry and graduated in 2000 with a Doctor of Dental Surgery (D.D.S.) degree. Over the next five years he practiced general dentistry in Dubuque, during which time he received a commission as a Lieutenant in the United States Naval Reserve. While collaborating on orthodontic cases with Dr. Meyer and Dr. Hemphill, he became interested in orthodontics and was accepted into the Orthodontics Residency Program at the University of Iowa. It was there he received a master’s degree and specialty certificate. Shortly after graduation, Dr. Morarend had his research thesis published in the American Journal of Orthodontics and Dentofacial Orthopedics. He joined Dubuque Orthodontics in 2007 and brings a great deal of general dentistry knowledge and experience to the practice. Dr. Morarend is a member of the American Dental Association, the Iowa Dental Association, the Dubuque County Dental Society, the American Association of Orthodontists, the Iowa Society of Orthodontists and the Midwest Society of Orthodontists. Dr. Morarend is very active in the community, and has been Cubmaster and a Den Leader at Kennedy School Pack 55 for several years. He is also active in his parish and is a member of the Knights of Columbus. Outside of the office, Dr. Morarend’s interests vary widely. He has been an avid woodworker for over 25 years, and also enjoys welding, metal sculpture and home-improvement projects. He and his wife, Kim, have an extensive vegetable garden and grow as much of their food as they can. He is also an avid beekeeper. Dr. Morarend and Kim have four young sons: Matthew, Luke and John are triplets, and Peter is three years younger. They enjoy camping and hiking in our nation’s national parks and have set the ambitious goal to visit all 58 parks before the boys finish school.